Properties in St. James the Apostle Church average 4.6 out of 5 stars. Lake Atitlan, Panajachel, 3rd Floor, Panajachel, Sololá, Guatemala. Property 51: Lake Atitlan, Panajachel, 3rd Floor, Panajachel, Sololá, Guatemala. Incredible Views Of Lake Atitlan Only 10-15 Minute Walk To Town. Property 52: Incredible Views Of Lake Atitlan Only 10-15 Minute Walk To Town. Property 57: Villa Jucanya , Great lake views, away from noise but close, 3 bedrooms. Property 65: Villa Jucanya , Great lake views, away from noise but close, 3 bedrooms. Villa Jucanya ,lake views, away from noise but close, 3 bedrooms. Property 77: Villa Jucanya ,lake views, away from noise but close, 3 bedrooms. Property 78: Villa Jucanya 5, Great Lake Views, away from noise but close, 3 bedrooms. 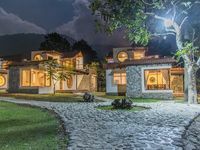 Atitlan Villas, A Sanctuary Of Peace And Natural Luxury And Stunning Beauty. Property 79: Atitlan Villas, A Sanctuary Of Peace And Natural Luxury And Stunning Beauty. Lake Atitlan, Panajachel, 2nd Floor, Panajachel, Sololá, Guatemala. Property 82: Lake Atitlan, Panajachel, 2nd Floor, Panajachel, Sololá, Guatemala. La CASA ROSA, a fresh, Zen-like abode overlooking the shimmering Lago d'Atitlan. Property 87: La CASA ROSA, a fresh, Zen-like abode overlooking the shimmering Lago d'Atitlan. secluded adobe earth and wood house. Property 88: secluded adobe earth and wood house. Do yourself a favor and book a stay at Erynn&rsquo;s house! It is truly one of the most luxurious vacation homes I&rsquo;ve ever stayed in. The views are amazing, the house is wonderful, the showers are incredible, and there are (good) yoga mats and paddle boards available for use. If you stay, I highly recommend arranging the dinner that Erynn offers with the stay. It was such great food. The house attendant was extremely helpful, he even ran out and bought us an extra bottle of wine and bread for our dinner once we realized we were running out. I am definitely looking out for my next group of friends to visit so I can book her house again! Property was clean. It had great views and is exactly as described. Staff was exceptional. We will definitely be back!